Starting April 7, 2019. the Adult Discussion Group will meet in the social hall 10:00. The Interdependent Web of All Existence: Join us on this 1st Sunday of the month as we begin an adventure into the depths of our 7th UU Principle (this month’s worship theme). This Sunday’s worship service will offer an opportunity to deepen your understanding of our 7th Principle and to nurture our connections with each other and to the Earth. Come sing, meditate, listen, learn, and connect! 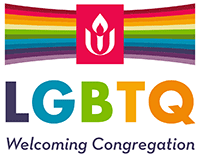 The Unitarian Universalist Congregation of Lakeland is holding our Annual Meeting on Sunday, April 7 at 12:30 pm. Please attend to vote on board and committee members and our 2019-20 budget.